The custom Rotated Sandwich Peak Cap is specially designed with a front panel that is perfect for your logo. Looking for a custom cap that makes you stand out from all the rest? Then the promotional Rotated Sandwich Peak Cap is just the one for you. The touch of color along the peak adds another notch of style to your everyday wear, making you stand out even more. No need to worry about excess lint and/or fibers. 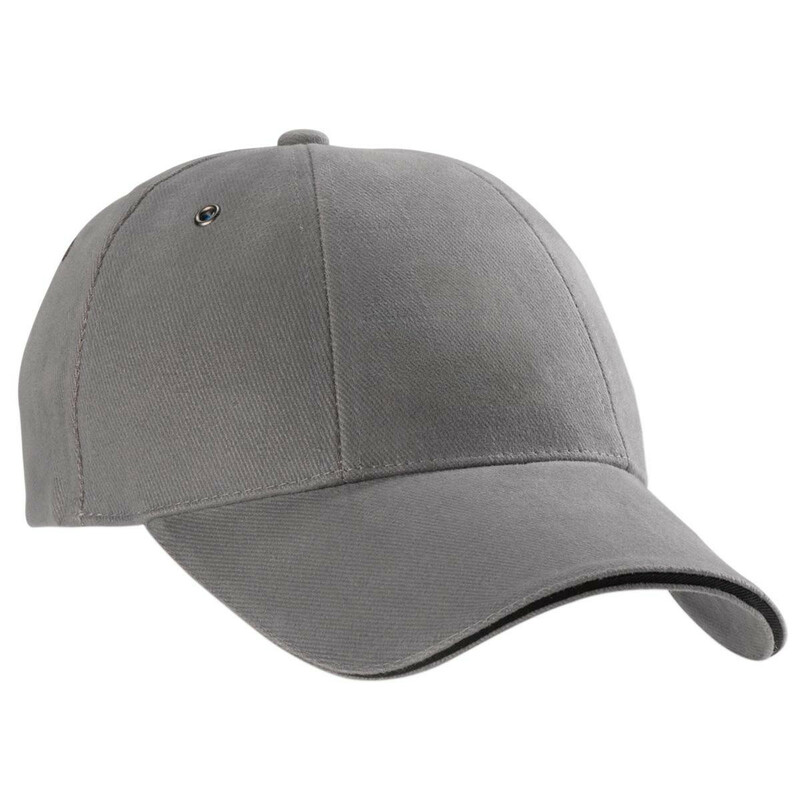 The personalised rotated sandwich peak cap is made of heavy brushed cotton fabric, leaving it soft and smooth to the touch. 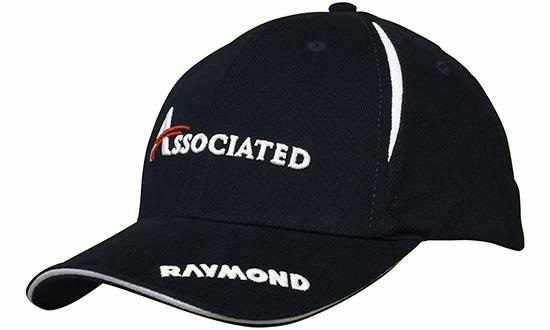 This cap is also made with your absolute comfort in mind. It features a padded cotton sweatband, absorbing any beads of sweat and keeping you cool as a cucumber. Plus, the gunmetal eyelets are stitched on the panel, allowing for more cool air to come in and unwanted heat to escape. 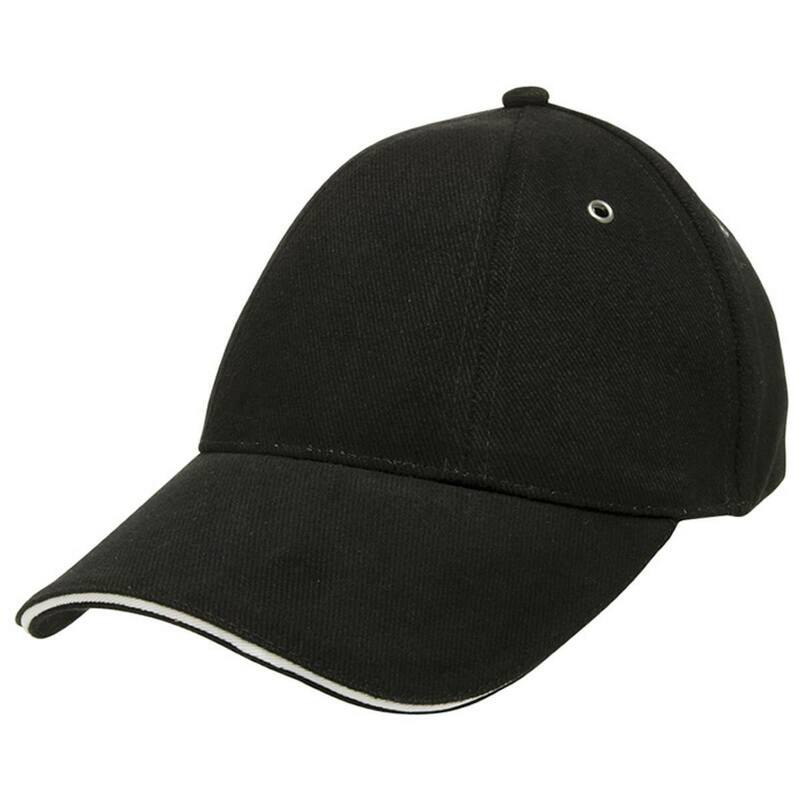 Having trouble getting caps to stay on your head due to strong winds? The gunmetal buckle on this rotated sandwich peak fabric strap lets you adjust the cap to achieve just the right fit. The personalised rotated sandwich peak cap also has a six-panel design. Its wide front panel is the perfect place to prominently display your company logo, brand or design. The pro-stitch feature is guaranteed to make your logo even more eye-catching and easily seen. 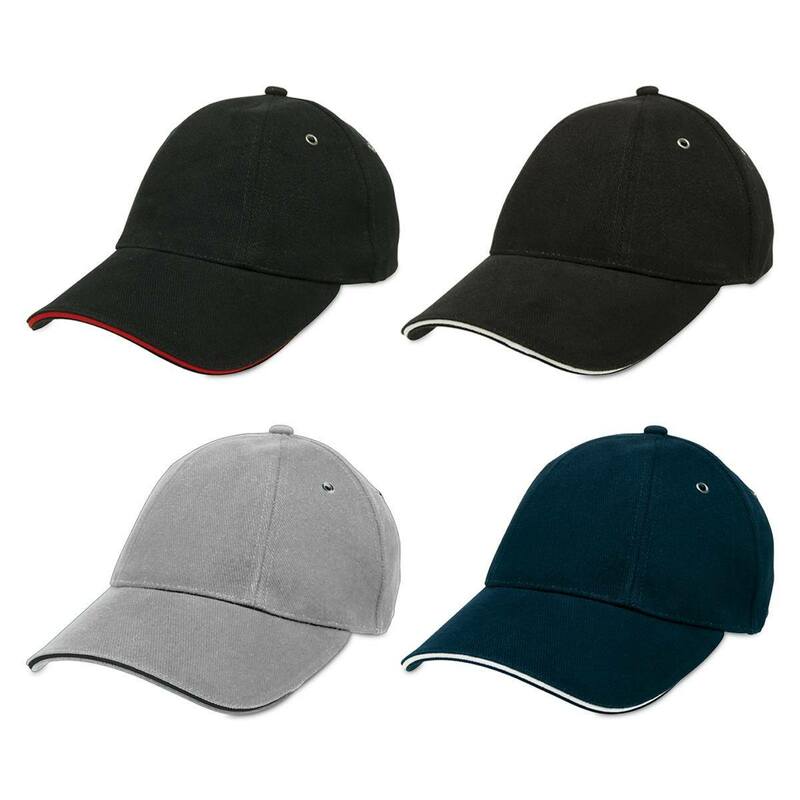 Speaking of other six-panel designed caps, why not check out our custom printed Brushed Cotton Mesh Back Cap. All of our products a very pocket friendly while at the same time meeting high standards of quality so you always get the best bang for your buck. 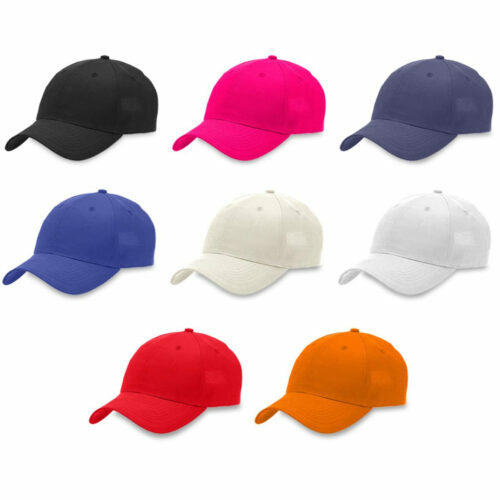 We have more caps on our website that will fit your needs so feel free to check out the rest of our product catalog. 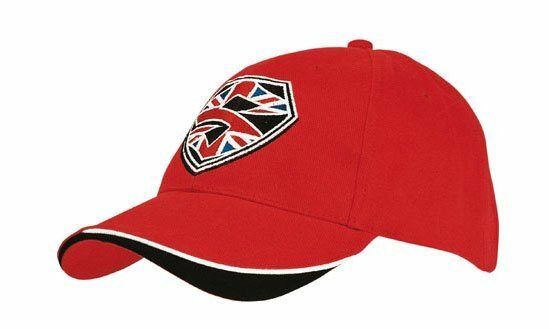 Put a little twist on your everyday headwear with our branded Rotated Sandwich Peak Cap. Add a unique touch by embellishing it with your brand’s logo! Cap off a meeting and seal a deal with our personalised Signature Chocolate Business Card, and our other customizable confectioneries. In case you have further enquiries, you can contact us at 1300 008 300 or through our live chat. Our customer service representatives are always on standby to answer your questions.